Ever wondered what painting with Wine was like? 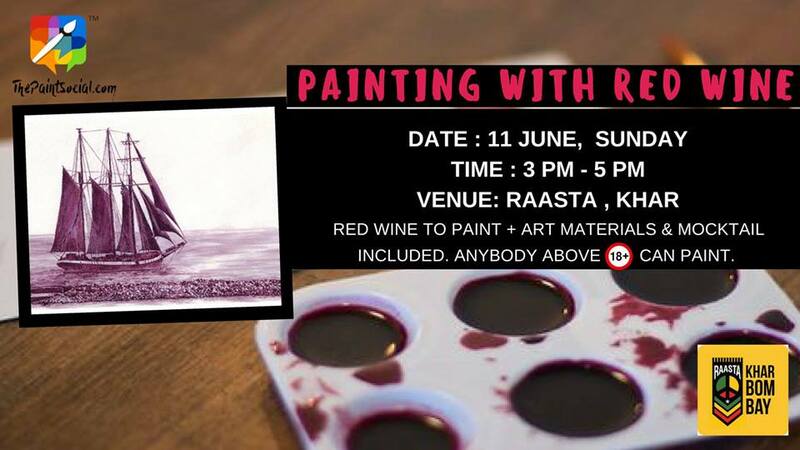 From your awesome response at the "Painting with Coffee" event, we bring you "Painting with Wine"
Explore the different shades of Red Wine in a impressionist Painting Experience. Tickets: http://imojo.in/ajk777 or call 9819993632 for queries. Price Includes : Red Wine to Paint, Mocktail & All Art Materials. Enjoy this Sunday stress-free with step wise instructions, anybody can paint (above 18 yrs).